Local, family owned business that has great knowledge of what grows in this area. Great attention to detail and customer service. Very quick to respond to special request. 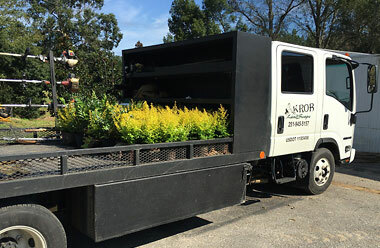 Krob Landscape has been taking care of our community for many, many years. They work hard to keep our grounds in the best shape possible and bring any concerns they find to our attention immediately. Their employees are friendly and arrive on time on their scheduled days and go above and beyond to keep the customers happy. The owners and office staff are always available to answer any questions or take care of any issues in a timely manner. 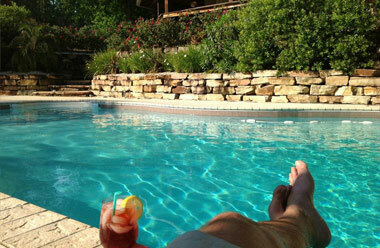 They are honestly one of the best landscape companies I have ever worked with. I would absolutely recommend Krob Landscape to do any of your landscape needs no matter how big or small! 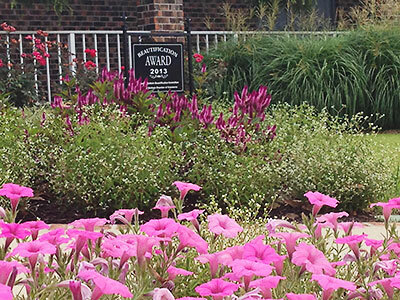 We specialize in commercial landscape management including but not limited to Multi-family communities & Property Associations. Click below to see full list. We offer regular landscape management (RLM) programs. Each RLM is set up for your desired results. We don’t just cut your grass, we manage your landscape. Are you ready to take your exterior landscape to the next level? Contact us today and let us develop a quote just for you! Upgrade your commercial or residential curb appeal! 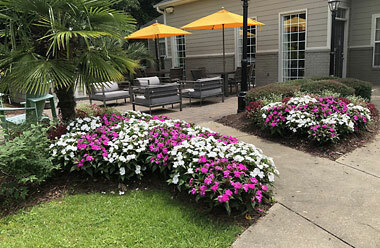 Since 1984, Krob Landscape has provided exceptional landscape design, landscape maintenance and landscape installation services for businesses, multi-family communities and homes along the Alabama and Mississippi Gulf Coast, and the Florida Panhandle. The professionals at Krob Landscape use the most up-to-date techniques and tools to take your exterior landscape to the next level. Comprehensive services offered include: custom-designed landscapes, landscape renovation, stone walks and walls, rock garden designs, sod prep and installation, lawn landscaping, garden landscaping, pond landscaping, excavation, tree removals, fertilization, major pruning and much more. Our family-operated, full-service landscape company is guided by our mission to provide superior, personalized service that meets and exceeds your standards. We approach every landscape project with creativity, innovation, quality, safety and efficiency in production, and we are guided by thinking natural and thinking green. Contact Krob Landscape today to discuss how we can transform your outdoor area into a landscaped oasis!